Much of the world is experiencing a prolonged heatwave at the moment. These sunny days are great for topping up a tan, and enjoying the beach, but not so great for using a mobile phone -- and not only because of the risk of it overheating. If you have an iPhone, you will likely have encountered the issue of the screen brightness suddenly changing. One moment you’ll be able to see things just fine, and the next it will be too dark to view properly in the sunshine. Adjusting the brightness won’t make any difference either, but don’t worry, there is a secret setting you can use to stop this behavior. 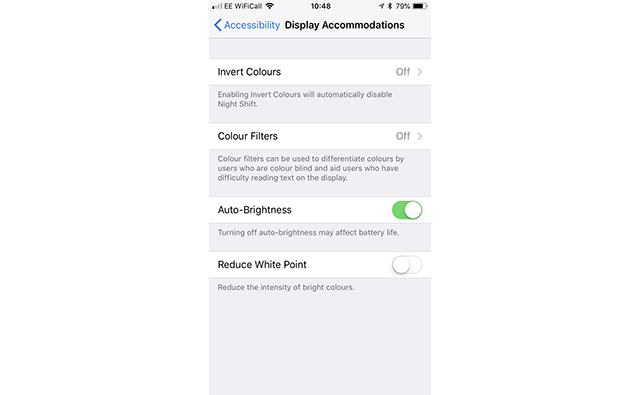 The problem is caused by the iPhone’s Auto-Brightness feature. You used to be able to change this easily through Display & Brightness but Apple moved it in iOS 11. It does still exist, it’s just been tucked away. To find it, open Settings, select General and then tap Accessibility. Tap on Display Accommodations partway down, and toggle off Auto-Brightness. A word of warning though. Doing so will leave your iPhone on full brightness and this can affect battery life, so maybe remember to toggle it back on when you’re indoors.